Welcome to Intensive Therapeutics, Inc.
Home of the HeelZup Therapeutic Heel Elevating Cushion! For more information about each family of therapeutic cushions please click on a photo below. HeelZup Cushions are designed to aid in the prevention and treatment of heel pressure ulcers. There are HeelZup Cushions available for use in the bed, the reclining chair and OR table. Most HeelZup models are available in bare foam disposable and reusable versions. 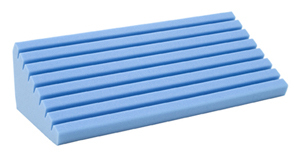 There are No-Slip Wedge Cushions available to assist with any size patient, from pediatric to bariatric. Most models are available in bare foam disposable and reusable versions. Reusable No-Slip Wedges have standard features and cover options designed specifically for infection control. 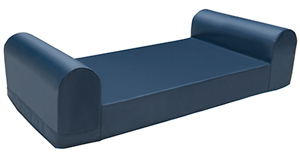 The Bariatric No-Slip Wedge is a reliable turning and pressure redistribution solution for Bariatric Patients. 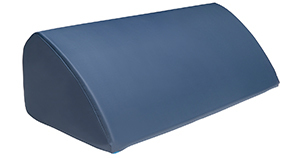 No-Slip fabric bottom cover to prevent migration away from the patient. The cover can be cleaned with standard cleaning procedures.